How Do I Get the Shine Back? I have a 4 year old Four Winns cuddy cruiser in excellent shape, but want to renew fiberglass shine. I have tried other so-called “shine renew” products with no real difference. Can you please tell me what is in your Premium Boat Shine that might make a difference? And how is it any better than just carnauba wax? Premium Boat Shine is a synthetic wax. Unlike carnauba wax it cross links to the fiberglass rather than just sits on top. As a result you get much better durability. Unlike carnauba waxes, it’s won’t yellow your boat and it does not become greasy and hold dust and dirt when warmed by the sun. 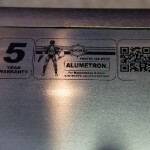 The finish is diamond hard and anti-static, so it repels dust and dirt. It also provides excellent UV protection. 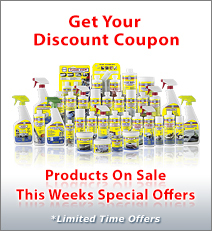 Most boat owners find that 2 coats on the hull lasts all season. 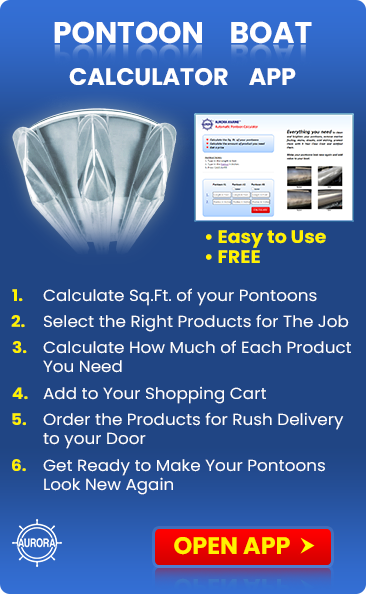 Regardless of what you use to polish your boat, the secret is in the preparation. If you just apply polish over last years degraded wax, your results will be less than satisfactory. Like painting over old, dirty, oily, peeling wallpaper, except on a microscopic scale. In a few days the dirt and oil will bleed through and it will start to flake and peel off. The same thing happens with your boat polish. 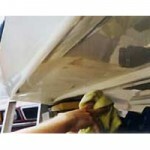 solution of Boat Clean Plus and water, followed by a deep cleaning with Boat Scrub, using a damp sponge. Follow the instruction on the bottles. This will remove all traces of old wax, pollutants, oxidized material etc. and give you a clean, stable surface to work with. Now apply 2 coats of Premium Boat Shine, a minimum of 24 hours apart. 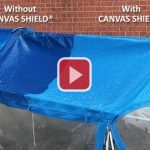 It goes on fast and easy with a damp sponge and when it dries to a haze, just wipe off the haze with a terry towel or old T shirt. It’s self polishing so no hard rubbing or buffing is required. 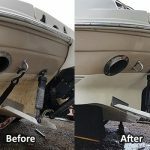 Boat owners that have been using this method and these products report that their 18+ year old boat looks like the day it came from the factory. These products are now endorsed and recommended by premier boat manufacturers in the US and Europe. 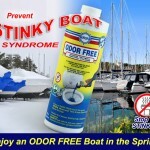 If you’re loosing your shine on a 4 year old boat, you’re doing something very wrong! Four Winns makes a good boat and the shine should last at least 25 to 35 years, if you look after it.